Charles “Lucky” Attal looks back to 1959 and wonders if his life would have been different if he’d happened upon that garage sale on East 11th Street just a few minutes later and the bowl marked 50 cents had already been sold. Would he have gone into the antique business if he hadn’t brought his find to Red River Street antique dealer Theresa Mays, who took a long look at the beautiful blue glass-cut bowl and offered the skinny Austin High School student $100.“That was when I realized I could make a living buying and selling antiques,” says Attal, who had aspired to be a criminal defense attorney after college. Instead, he opened his first antique shop in 1965 and today is one of the state’s most prominent appraisers. A hundred bucks was a lot of money in the ’50s — Attal says he would’ve been happy to get $10 — but Mays was guided by a simple philosophy: “Buy right, sell right.” And Attal kept coming back to Tannie’s and Theresa’s Antiques at 1122 Red River, one of several black-owned shops on the strip north of East Sixth Street. “Theresa knew the business inside and out,” Attal said. That a soft-spoken Lebanese American teen-ager and a spunky middle-age African American would form a bond is not unusual when you realize that the antique business is built on intersecting lives. As the chair once owned by a blacksmith sits in the foyer of an Old Enfield mansion, it holds a connection to the past. Theresa used to say you’re never alone in a room with antiques. They talk to you. They tell you their stories. The tale of Theresa Sidle Mays Hardeman, who passed away in December 1999, will be told through her artifacts next month when Attal Galleries handles her estate sale. Helping Attal, the student going full circle on his mentor, get ready is Theresa’s niece Dorothy McPhaul, who says, “I’m the last in the line.” Her family has been in the Austin antique business since grandfather Simon Sidle opened a shop on Red River in 1920. McPhaul owns Johnnie’s Antiques, the shop at 911 E. Sixth Street where Theresa and Dorothy’s mother Ilesta moved in 1973 after their Red River storefronts were torn down. On the side of the building the pair proudly painted “Simon’s Daughters.” Today the shop is open on an appointment-only basis. Dorothy McPhaul worked for the La Grange school district for 38 years before devoting herself to the antique business fulltime. They called him Ole Simon even when he was middle-aged because he seemed to have a way about him that suggested wiseness beyond his years. Simon Sidle (originally spelled “Seidel” after the Brenham family that owned his parents, Isaac and Mary, as slaves), moved his wife, Emma, and family from Pflugerville to Austin in 1918, just months after the birth of his ninth child, Theresa. After working for a white junkman named Mr. Noyes for a couple years, Sidle pioneered the Red River antique district, opening at 807 Red River in a building, ironically enough, which is currently co-owned by Charles Attal Jr. It was there that, while polishing for her father, a love for ancient objects rubbed off on Theresa. But even as the eager 6-year-old wanted the merchandise to sparkle, her father was telling her to leave it alone. McPhaul says her grandfather always believed that a little bit of dust added atmosphere to the shop. In January ’54, a year after moving, Simon Sidle died in his sleep at 74. The patriarch of Austin’s first family of antiques lived on in the street that had become a reflection of his passion. Today the strip is one of trendy clubs, restaurants and Symphony Square, but in the ’60s there were more than a dozen antique stores and junk shops on Red River from Sixth to 13th, with such colorful names as Snooper’s Paradise, Fairyland Antiques and William’s Do-Rite Shop. Theresa and Tannie, who never had children together, opened their first storefront at 1204 Red River in 1946. The place was a veritable shack, with no electricity, no water, no gas. But it did have a rat that the couple named Tweety. Tannie and Theresa, who collected racist knicknacks as a reminder of their roots, also set up at antique shows all over the country. Among hundreds of exhibitors they were often the only African Americans. After inheriting her father’s antiques, Theresa and Tannie found a bigger shop at 1122 Red River and remained there for 19 years. In 1963, after losing her leg in an automobile accident, older sister Ilesta had to quit her job as a domestic for the H.R. Northroup family and find a new line of work. The family business beckoned, so she opened Johnnie’s Swap Shop with with her husband Johnnie Alexander, next door to Tannie and Theresa’s. The buildings, which sat on the edge of what is now Waterloo Park, were condemned and torn down in 1973 as part of the urban renewal campaign that accompanied the building of Brackenridge Hospital. It was a rough time for Theresa, who a year earlier had lost her beloved Tannie to tetanus poisoning after he stepped on a rusty nail. After a period of grieving those two losses, Theresa dug into a project she’d dreamed about for years. In 1974 she married longtime family friend George Hardeman and with material she and Tannie had been collecting, including railroad ties for the beams and signed bricks for the floor, they went to work building a house like none other. The patchwork architecture, which included woodwork from the old Scarbrough House and a pressed tin ceiling from the old Lampassas Court House rated a two-page feature (“In the House That Theresa Built”) in a 1980 issue of Antiques USA. “Everything in her house was antique, right down to the kitchen utensils and the wood stove,” says Dorothy, who plans to put the house in far East Austin on the market next month. 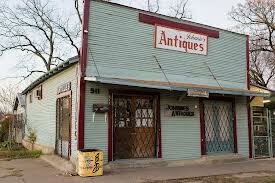 It takes a certain drive, a voracious appetite for the old and authentic, to make a living in the antiques business. “The hunt is a bigger thrill than the sale,” says Attal summing up the allure. That’s why Ole Simon liked his precious items to sleep in the dust. That’s why his daughters loved to watch their customers squeal after pushing aside a crate to find that missing item for their collection. As a little girl putting pieces of wood in the hand of a blindfolded man, Theresa Sidle understood just how important the sense of touch is in all this. After all, what are antiques if not history you can hold? Simon Sidle opened his first shop, Simon’s, at 807 Red River in 1920. Nine years later he moved to 1302 Red River, where he remained for 23 years. In late ’52, he moved Simon’s Antiques to the corner of 12th and Chicon streets. He died in January 1954. Theresa Sidle Mays Hardeman and her first husband Tannie Mays opened their maiden storefront at 1204 Red River in 1946. After eight years in the shack without lights or heat, they relocated to 1122 Red River. That shop was torn down in 1973, and Theresa and her sister Ilesta operated out of the storefront at 911 E. Sixth St. until their deaths. Theresa passed away in December 1999. 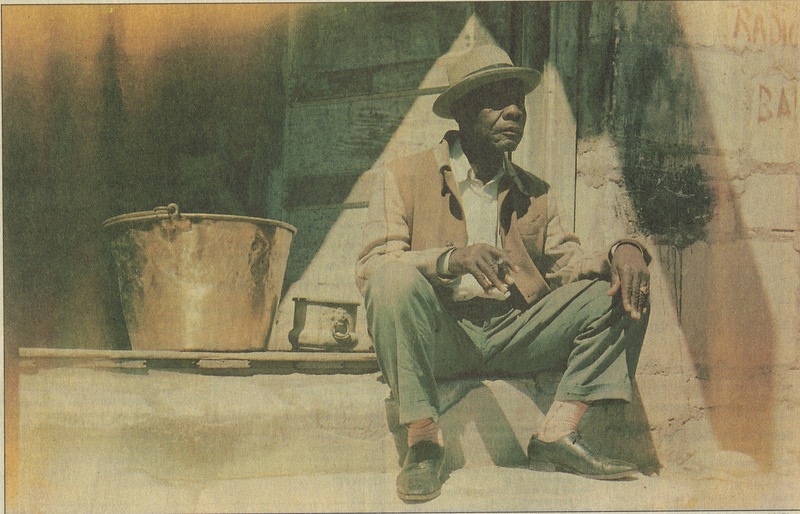 Ilesta Sidle Alexander was a relative latecomer to the antiques trade, opening Johnnie’s Swap Shop with husband Johnnie Alexander next door to Tannie and Theresa’s in 1964. Looking for a new location in ’73, Ilesta moved into the 911 E. Sixth St. shop discovered by her daughter Dorothy. Ilesta died in 1997; husband Johnnie died in ’99. 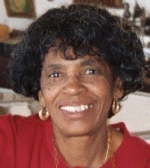 Dorothy Alexander McPhaul, who was a coach and teacher in the La Grange ISD for 38 years, worked weekends in her mother’s shop on Red River and then East Sixth. When she retired from teaching in ’92, she devoted herself to the antique business full time and is currently training her son Tanny (named after his great-uncle Tannie, though opting for a different spelling) to take over the store.